LOCATION, LOCATION, LOCATION. The best location, BEST low-priced 1BR apartment off of 3rd Ave in the UES 80’s!!!!!!!! ◄► Just got this RARE FIND!!! Spectacular, spacious, mint 1 bedroom, separate, renovated kitchen with dishwasher and all new, sparkling, windowed bath in immaculate building. Other features include loft-like ceilings, hardwood floors, and a HUGE living room with charm of old word detail including a decorative fireplace. 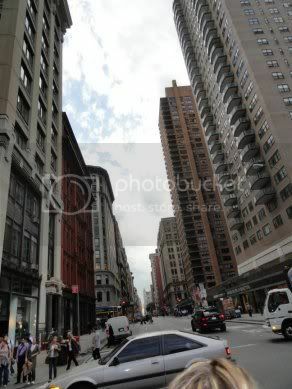 Spectacular neighborhood is close to the subway and convenient to all. You can have all this for the cost of an ordinary 92nd and York apartment. You can have all this! You n but only if you call Kevin right now. Just got this in! This great deal won't last! Run & call (or text) Kevin at 917-312-8643. Visit NYCapartmentsKD.com DON’T YOU WANT VALUE FOR YOUR $$$$? Dog ok. Woof, woof, woof! HUGE! The great location, best low-priced 1 bedroom that’s as large as some 2 bedrooms located right in the FABULOUS WEST VILLAGE! Just got this RARE GEM on Sullivan Street. Spacious, newly renovated townhouse with eastern exposures. Spotless with elevator, laundry, video security and lots of sunlight. The place is immaculate and features a recently renovated kitchen and an all new bath, loft-like ceilings, hardwood floors, and great closet space. Located on Sullivan Street, this quaint neighborhood is surrounded by historic landmarks and trendy boutiques. You can have all this for a fair price! You can but only if you call Kevin right now. Just got this! This won't last! I have keys. Run & call (or text) Kevin at 917-312-8643. Visit NYCapartmentsKD.com and LIKE us on FACEBOOK! This is the B!!!!!! !G, 2 room studio that you've been looking for!!!!!! Size, location, convenience, and the BEST, value-priced BROWNSTONE studio on the UES 70’s for the money$$$ ONLY THING SMALL ABOUT THIS PLACE IS THE FEE! This RARE FIND just in!!! Spectacular studio is on 78th and 2nd Avenue and is going through a complete condo-quality gut renovation as we speak. Rent is such a great deal that it would normally be for the cost of a walk up on York way up in the 90s. This sun-bathed find features high ceilings, hardwood floors, HUGE living area. The place features loft-like ceilings, hardwood floors, separate all new renovated WINDOWED kitchen with oak wood cabinets, SPARKING BATH and nice closet space. Located on 78th between 1st and 2nd Ave, it is close to the subway. All this value is in an immaculate building and is where the Zillionaires live. New to the market! Too soon for pictures. This won't last! Run & call (or text) Kevin at 917-312-8643. Visit NYCapartmentsKD.com DON’T YOU WANT VALUE FOR YOUR MONEY AND TO LIVE IN ONE OF THE UES’S MOST SOUGHT AFTER LOCATIONS?